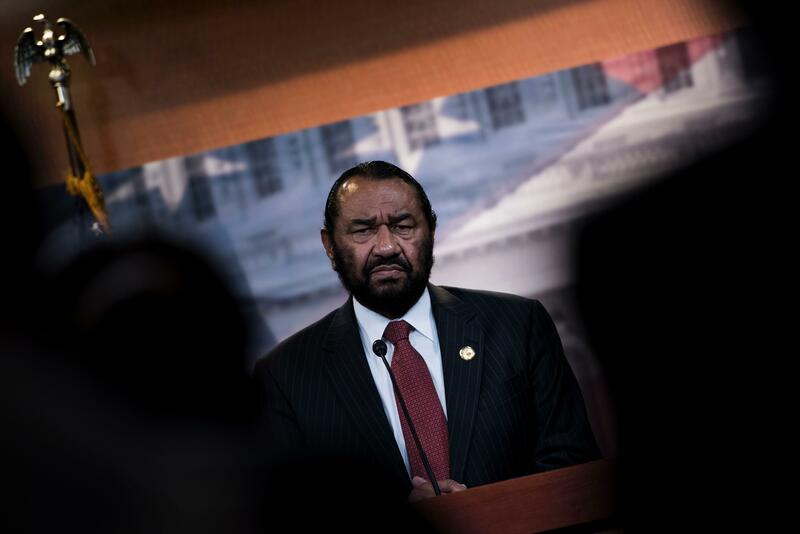 Rep. Al Green, D-Texas, released a joint statement with a former staffer outlining their relationship, after allegations of sexual misconduct were made and then withdrawn almost 10 years ago. "In the present climate, we wish to jointly quiet any curious minds about our former and present relationship with one another. We are friends and have long been friends. At an unfortunate time in our lives, when both our feelings were hurt, we hastily made allegations and charges against one another that have been absolutely resolved. As consenting friends, we both regret our former claims and have since then maintained our respectful relationship. We are friends." This matter has been resolved without payment of any money or transfer of any consideration of any kind by either of us to the other. As friends, we have both agreed that we so no need to make further statements regarding this absolutely resolved matter." According to The Hill newspaper, Daniels had accused Green of sexual assault but later withdrew her allegations against the congressman in 2008. Green had filed a counter lawsuit against Daniels, alleging she had threatened to sue him for workplace discrimination if he did not pay her. The Hill reports that a spokesman for Green had admitted the two were involved in a "romantic encounter" back in 2007 but said the allegations of assault were untrue. While it's unclear why Green chose to release the statement now, it comes amid overwhelming calls to revise Congress' policies on how it handles allegations of sexual harassment and assault on Capitol Hill. The Senate has already passed legislation requiring everyone, from interns to members – to undergo sexual harassment training. In the House, members have introduced bipartisan legislation to prevent and respond to sexual harassment in Congress. The bill, called the Member and Employee Training and Oversight On (ME TOO) Congress Act, would create an in-house counsel for victims of sexual harassment, among other protections. The House is expected to vote on its bill on Wednesday.